107 pages, Illustrated throughout in colour and black and white. 3 tables, 81 figures (73 in colour). 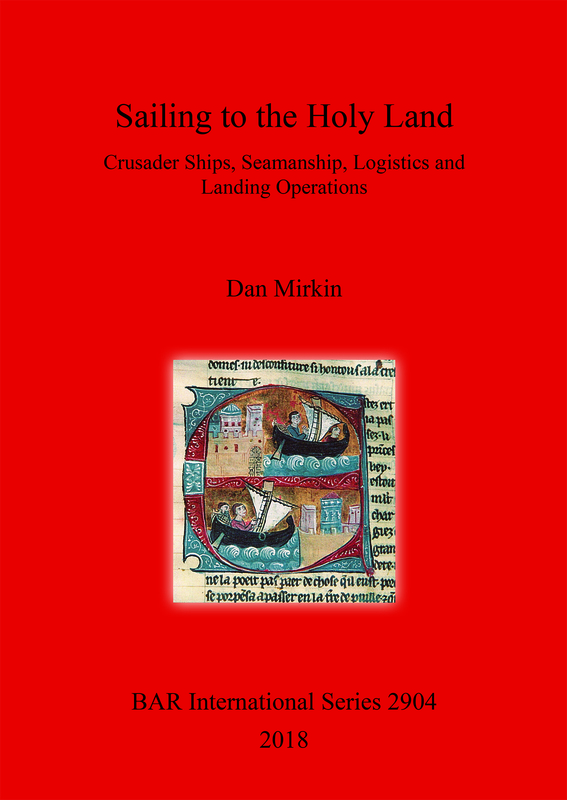 This book, unlike most studies dealing with the Crusaders’ voyages by sea across the Mediterranean and their arrival at the shores of the Levant, looks at this feat from a seaman’s point of view. To this end, it examines the types of ships, the sails and rigging that were used at the time, drawing on the author’s personal experience and knowledge of the wind regime of the region. It also tackles the problems of transporting cargo, humans and horses, and the management of large fleets and their navigational difficulties. The book also deals with the question of landing on the flat coast of Palestine. It looks into the connection between seaside Crusader castles and the sea at their foot, taking as a case study the mooring basin below the Apollonia-Arsuf castle. This examination includes under-water digging and sub-bottom profiling using special equipment, and reveals interesting finds which call for further research. Daniel (‘Dan’) Mirkin is a retired lawyer, a long-time sailor and, more recently, a scholar of marine history. Born in Paris in 1937, he has lived in Israel since 1938. He holds a BA in Political Science and French Literature and an LLB. Later on he acquired an MA in Maritime Civilisations and a PhD in Marine Archaeology.